tammikuu | 2019 | Urban Mill – Building IntenCity! 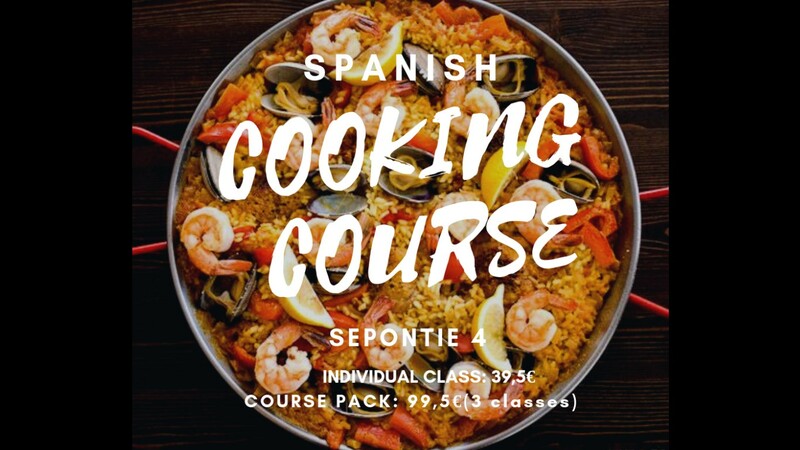 Learn to cook Spanish dishes like the Michelin stars chefs! HoxTeamCompany from Mondragon Team Academy – LEINN (MTA) in collaboration with Basque Culinary Center (BCC), a world-leading academic institution, in the innovation and investigation of gastronomy and nutrition, created by Michelin-starred chefs, offers a live course and tasting in group of Spanish cuisine with all included. You will learn how to cook yourself the local dishes, the history and secrets that hide such a rich gastronomical culture. Furthermore, you will taste the unique and traditional Spanish flavours. The lessons will be given live by video conference and supervised by Spanish specialists. All the lessons will be from 5:30 pm to 7:30 pm. The classes are arranged by HoxTeamCompany a young entrepeneur team from Spain collaborating with the world leading gastronomical university Basque Culinary Center. 30 Spanish students from Mondragon Team Academy (MTA) are forming on the degree of Leadership, Entrepreneurship and Innovation (LEINN). The students have their home base in Urban Mill in Espoo Innovation Garden during the weeks in Finland. As part of their degree, they will be spending a month and a half in Finland, learning about the Finnish market and economy in order to create a bridge between both countries and have a social impact. As well as, in order to learn more about its educational methodology, innovation processes and entrepreneurship.